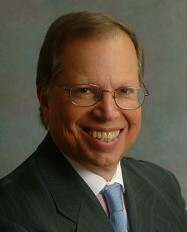 Stanley S. Litow is IBM’s Vice President of Corporate Citizenship & Corporate Affairs and President of IBM’s Foundation. Under Mr. Litow, IBM has developed innovative voice recognition technology to help children and adults learn to read, a humanitarian virtual supercomputer to speed research on cancer and AIDS, and new digital imaging technology to improve water quality. Mr. Litow helped devise IBM’s Corporate Service Corps, a corporate version of the Peace Corps, to train and deploy thousands of IBM’s future leaders; the IBM Smarter Cities Challenge, which is helping more than 100 cities worldwide become more effective; and the Pathways in Technology Early College High School (P-TECH), a grade 9 through 14 schools initiative to transform U.S. education and strengthen America’s economic competitiveness by connecting education to jobs. He has served as Chair of the Governor’s Panel on Common Core Education Standards, on the President’s Welfare-to-Work Commission, on the boards of the Harvard Business School Social Enterprise Initiative, The Citizens Budget Commission, The After-School Corporation and the Albert Shanker Institute. Currently, Stan also serves as a Governor’s appointee on the board of the State University of New York. Prior to joining IBM, Mr. Litow’s career in public and nonprofit leadership included service as Deputy Chancellor of the New York City Public Schools, founder and CEO of Interface, a nonprofit think tank, and as both a City and State Official appointed by the Mayor and Governor of New York. Litow earned his BA from New York University. He is the recipient of the Council on Foundations’ prestigious Robert W. Scrivner Award for Creative Grantmaking. He also has been recognized by the Anne Frank Center, the Coro Foundation and the Martin Luther King, Jr. Commission, and has received the Urban Visionary Award from the Center for an Urban Future. Mr. Litow has twice been voted “CEO of the Year” by Corporate Responsibility Magazine, and IBM’s efforts to improve American education have won the company two Ron Brown Presidential Awards for Corporate Leadership.